The exact PC setup i'm running is Socket 4 / Intel Premiere PCI Pentium 60, S3 Virge DX with Slow VLB / PCI, SB16 Sound Card, 32 MB memory. Thanks for any advice on this. 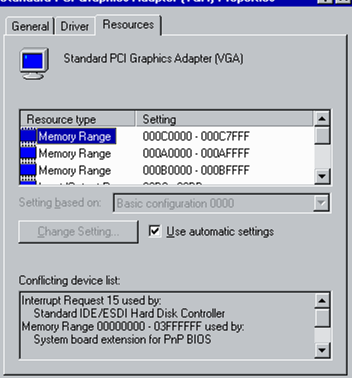 My instinct would go toward installing at least the Virge display driver from the DirectX6 driver bundle, and then deleting the conflicting device for a redetection later.